Visit Tokyo via private air charter and reap the benefits of private aviation such as an on-demand private aviation consultant, flexible scheduling, customized dining from Stratos Jets' catering menu, and countless in-flight entertainment options. You'll also enjoy the privacy of your own private jet cabin conducive to work or play. Our Stratos Jets aviation consultants are amongst the most knowledgeable in the industry and will provide you with their expertise when organizing your jet charter flight to Tokyo.Take a private charter jet to Tokyo to experience one of the world's most incredible cities. 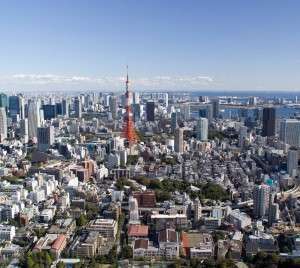 Tokyo is the capitol of Japan, the largest metropolitan area of the world, and home to the Imperial family. A crucial international finance center, the city is home base to many of the world's insurance companies and investment banks. 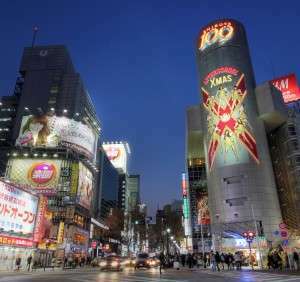 Tokyo also serves as the core of Japan's transportation, broadcasting, and publishing industries. Needless to say, Tokyo is an extremely busy center for commerce and trade.It's not all business in Tokyo. When planning your itinerary, try something you can't find anywhere else in the world: take in a sumo match or visit the Tsukiji Fish Market, the world's largest and busiest fish market. Check out Ebisu, an uber trendy neighborhood where you can rub elbows with the locals while enjoying distinctive fare and colorful drink without spending a fortune.There are a number of fantastic places to stay in Tokyo. In the business center of the city, stay at The Peninsula Tokyo, which offers unparalleled luxury, extraordinary dining options, and amazing views from any angle. One of the city's newest luxury hotels, Shangri-La Hotel Tokyo, features an indoor heated swimming pool and recreation and fitness facilities among the finest in the city. Conrad Tokyo is luxurious and modern with brilliant views of the bay.A Stratos Jets aviation consultant makes planning your private jet charter to Tokyo stress-free and unforgettable. We specialize in arranging long-range charter flights, for both large groups and private flights form the US to Tokyo. With access to over 5,000 available private aircraft, you're sure to fly out on the best available private aircraft equipped with your chosen amenities. Stratos Jets makes passenger safety a top priority, that's why we ensure all of our vendors meet the Federal Aviation Administration's regulations. Through our in-house due-diligence safety program, we carefully screen all private aircraft and aircraft operators to secure the safest, most well-maintained aircraft under the command of two highly trained, highly experienced pilots. Stratos Jets conducts a third party safety audit on every private charter flight we arrange. We work only with private operators for Part 135 air charters, and group operators for Part 380/121 charter flights to Tokyo.Fly into Tokyo International airport (RJTT) and embark on the trip of a lifetime.